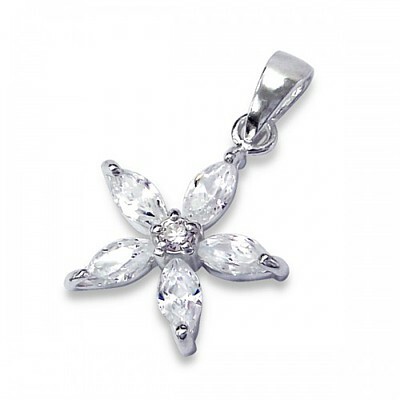 Beautiful, celestial flower or star, created using five hand-set marquise-shaped cubic zirconia, with a central circular CZ in a sterling silver setting and threaded on a 41-46cm/16-18” sterling silver chain. Size: 13mm x 12mm. Silver weight: 1.1g.